Our 2016 Ballard Vineyard bottling is a quintessential mountain-grown Cabernet possessing a depth of personality and strong sense of place rarely found in valley-floor sites. 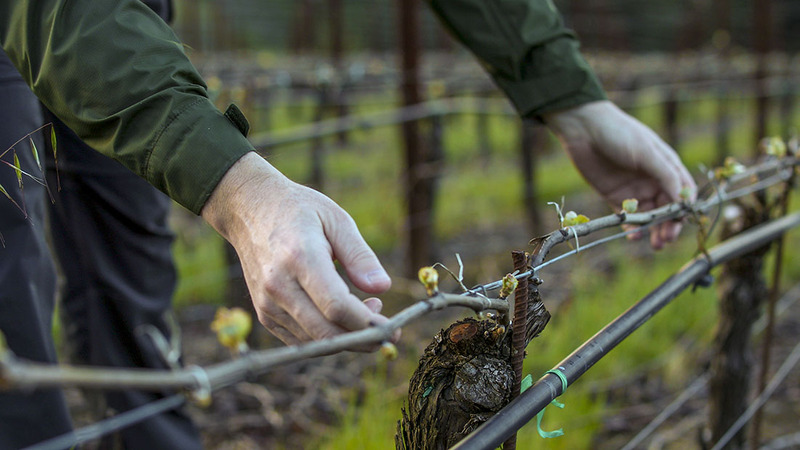 Nestled in a forest clearing at an elevation of 1,800 feet atop Spring Mountain, Ballard’s mature vines are rooted in loosely textured, iron-rich red volcanic soil. This single parcel wine is soulful, evoking a sense of tiny, dark berries and intriguing herbal nuances, the rugged forest setting imparting notes of pine needle, bay laurel, cedar and dark roasted meat. Ethereal, multidimensional aromatics weave in complexity and depth: dried thyme, wild sage, rose petal and violet with a core of black and red fruits. The nose alone reveals how alive and dynamic the wine is. Immediately mouth-filling, there’s great structure here as persistent fine-grain tannins beautifully frame the mid-palate. Acidity extends the flavors through to the finish, with dusty cocoa, savory and slightly salty notes enveloping the wine’s natural power. I’ve been growing and vinifying Cabernet Sauvignon in Napa Valley for 24 years, and this wine is among a handful of my favorite-ever bottlings—a wonderful throwback to Cabernets of 20+ years ago before excessive ripeness became the norm. The forward nature of the vintage makes it a pleasure on release while the palate hints at a rewarding development in bottle over the next 15+ years. Just seven barrels produced.